Our sojourn in Melbourne is drawing to close. Our grand daughters, now in their teens, have willingly visited the Victorian National Gallery and the Immigration Museum, spent a day bush walking in the Yarra Ranges, and explored the gritty inner Melbourne suburbs seeking out independent book shops, street art, quirky vintage wares and artisan gelato. It used to be that all they’d choose from a café menu was hot chips but now thankfully, they’re much more adventurous. Since my last post our eating experiences have been many and varied. We’ve eating delicious home cooked meals prepared by family and friends but a clear stand out was salami prepared last winter by foodie friends. I can’t wait to try their first vintage of Heathcote Shiraz. The Collingwood Children’s Farm used to be a favourite place for a leisurely weekend breakfast. Thankfully nothing has changed. The little cafe was abuzz with families and lycra clad cyclist dodging the wandering poultry scratching for grubs. The high quality ingredients used to make the delicious offerings at the Farm Cafe are all sourced from Victorian small artisan producers so it was hard to go past plain old bacon and eggs on toast, rare breed pork, free range poached eggs, sourdough toast and tomato chutney prepared at the farm. After an arduous hour or two browsing shopping at Readings, our favourite bookshop, sustenance was needed. Luckily just across Lygon Street, Brunetti’s offered a Roman holiday experience. This enormous Italianesque cafe offers great coffee and an endless choice of delicious Italian cakes and pastries. Together we’d scoffed a hip spreading almond croissant before I thought to take a photo. The clean plate says it all. Melbourne is truly a cultural melting pot and the multiplicity of ethnic cafes make up significant part of the vibrant food scene. Friends chose a bustling Japanese cafe for our get together. The salmon sashimi was sensational. The glorious autumnal days of clear blue sky days with temperatures in the mid 20s tempted us back to the Yarra Valley for a second Sunday lunch. At the Stable at Stones both the floor staff and the kitchen were well prepared to accommodate dietary issues without compromise to quality or creativity. We feasted on pork, quail and prawns fro entree, lamb and trout for mains. The desserts, all bite sized were delicious. As to the the aforementioned gelato our grand daughters were insistent we tried every shop we passed, Fritz Gelato St Kilda, Lavezzi Gelateria Ringwood and Gelato Messina Richmond, not once, not twice but three times. All were all wonderful. What a great trip. My grand daughter is 3.5 years old, and as much as I don’t want her to get older, cause she’s adorable, I can’t wait till she’s old enough for me to take her to France. Only an hour after she was born I whispered to her that I would do so. Hopefully she’s a well-behaved teenager!!! You are lucky to have quality time with the granddaughters! I think my two are around the same age, and also love to explore fun shopping places. And are increasing their interests in food, though they’ve always been pretty adventurous. We’re home Mae, exhausted but happy. It was a great holiday..
Must be wonderful being back in Melbourne- even for a little time. All that food makes my mouth water. Especially envious of your visits to Gelato Messina. Great to share this with the next generation. 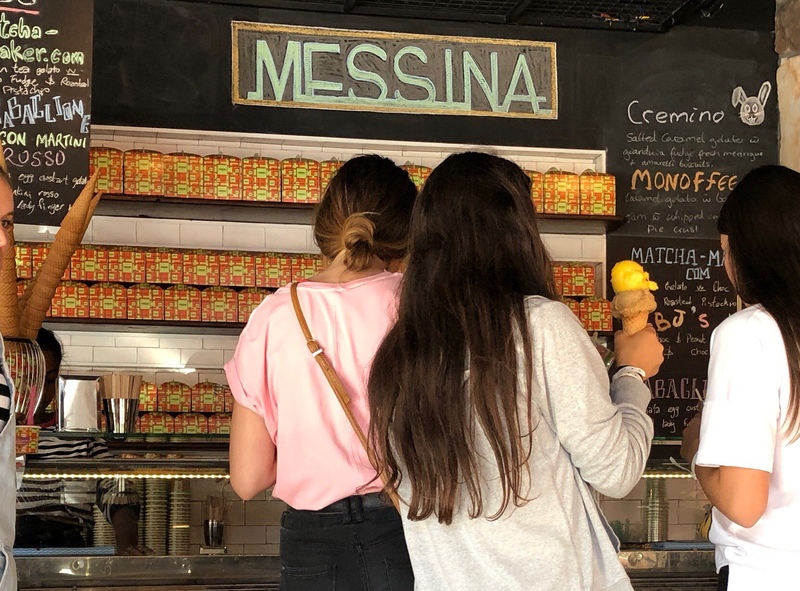 Oh my… that double scoop of gelato from Messina looks fantastic! I’ve been trying to get through the evenings without dessert lately, but I’m totally craving a scoop or two of gelato right now. Looks like you’ve had a wonderful time away Sandra and must have been lovely to spend time with family and friends. So many changes over the years, I hardly recognise, no I don’t recognise Melbourne and surrounds at all these days. All for the better I think. Oh, the nostalgia! Saturday morning coffee in Lygon Street…. 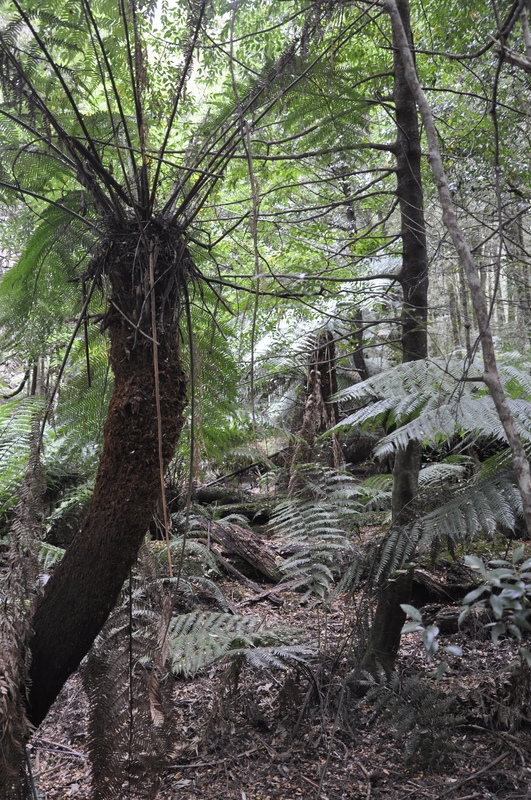 Some lovely spots visited across Melbourne. Just as you think you’ve lost the little ones, they come back to you and embrace your food passions and pastimes. Must get out more! oh it all sounds wonderful. all that lovely melbourne food. how nice to have your grandchildren growing up and being able to indulge in it all with you. This entry was posted on April 12, 2018 by ladyredspecs in Food and tagged food, Melbourne, Travel.